How fantastic to have an Around the World post from an Oceanian country! Australia is actually the world’s sixth-largest country by total area and is beginning to make some big strides in the area of Open Education. Robin Wright provides us with some background story and a look at some new projects that are taking off. Robin is the Copyright Manager at Swinburne University of Technology in Melbourne, Australia. She is particularly interested in the intersection of copyright and digital technologies in the cultural and higher education sectors. 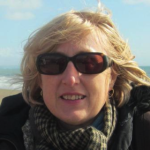 Robin is currently the project leader for the Open Education Licensing project investigating the links between open licensing decisions and new business models for the online delivery of educational content. She can be contacted at Swinburne University of Technology on rwright@swin.edu.au. The discussion around Open Education for higher education in Australia has to date been dominated by support for open access to scholarly resources and data rather than the development and sharing of Open Educational Resources (OER). However the rapid expansion of MOOCs since 2012 and the involvement of a number of Australian universities in OERu is now moving the conversation more towards the creation, dissemination and re-use of free and openly available educational material. Higher education institutions in Australia have been active supporters of open online access to scholarly resources for many years. All of the 39 universities operate institutional open access repositories providing links to scholarly publications by their own academic staff. A list of institutional repositories in Australia and New Zealand is available from the Council of Australian University Libraries (CAUL). An active Open Access Support Group works to advocate, collaborate, raise awareness and lead and build capacity in the open access space. It is a membership organisation with nine university members and a number of informal supporters. Australia’s two main research funding bodies require funding recipients to deposit their publications into an open access repository. Both the Australian Research Council (ARC) http://www.arc.gov.au/applicants/open_access.htm and the National Health & Medical Research Council (NHMRC) have open access policies that are aim to maximise benefits from, and the dissemination, of Government funded research. 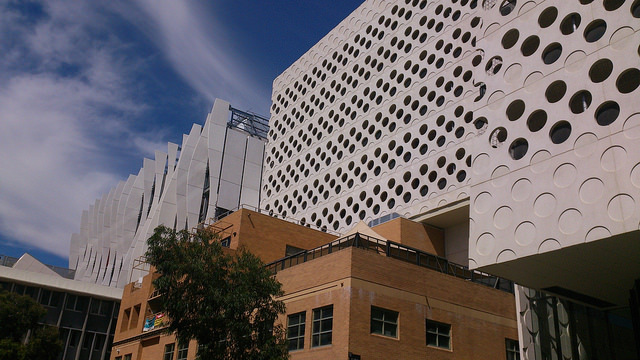 The Australian higher education sector really began to engage widely with OER and MOOCs in 2012. The University of Melbourne was the first Australian university to embrace a model of open online courses, entering an agreement with Coursera in September 2012 initially offering seven courses, which has now grown to nineteen. The University of Western Australia and the University of New South Wales now also deliver MOOCs with Coursera. The University of Queensland, Australian National University and the University of Adelaide deliver open courses via the edX platform. Seventeen Australian universities, plus a number of vocational/technical and industry/professional providers, deliver free courses via the Open2study platform operated by Open University Australia and six Australian universities are partners in the OERu network. One of the earliest universities to introduce OER in Australia was the University of Southern Queensland (USQ). It is a member of the Open Courseware Consortium and offers courses under a CC BY-NC-SA licence at as well as through OERu. Copyright and licensing has been identified as one of the critical factors limiting the development of OER and one of the most important for Australia when delivering online educational products into the global market. 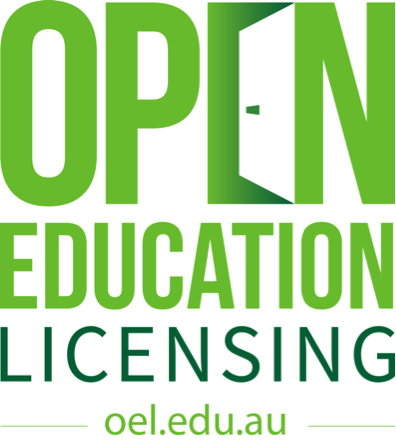 Two Australian universities; Swinburne University of Technology and the University of Tasmania are currently undertaking a project to investigate Open Education Licensing in Australia – www.oel.edu.au. The OEL project is funded by the Australian Government Office for Learning and Teaching. The project is asking individuals from all of Australia’s higher education institutions and relevant professional bodies about: the reasons behind their own and their institution’s use and development of OER and MOOCs, their knowledge of and experience with open licences, and how and why they share their educational resources. The information gathered will be used to develop a practical Open Education Licensing toolkit to help practitioners navigate the licensing challenges within the developing business models for open education worldwide. The toolkit will be available in 2016.